Once upon a time, the words divorce and the over 50s would never have been uttered in the same sentence! Did you have a big party when you turned 50? Are you embracing the idea that 50 is the new 40 and feeling better than you did a decade ago? Are you looking forward to the independence of your children, and having time with your husband just like you did before the children came along? Perhaps you ‘re like a growing number of women who, in their 50s want a new life free from marriage and secretly, (or not so secretly), harbour the desire to divorce? Once children fly the nest, many women experience a new yearning for freedom and a chance to live a different life. 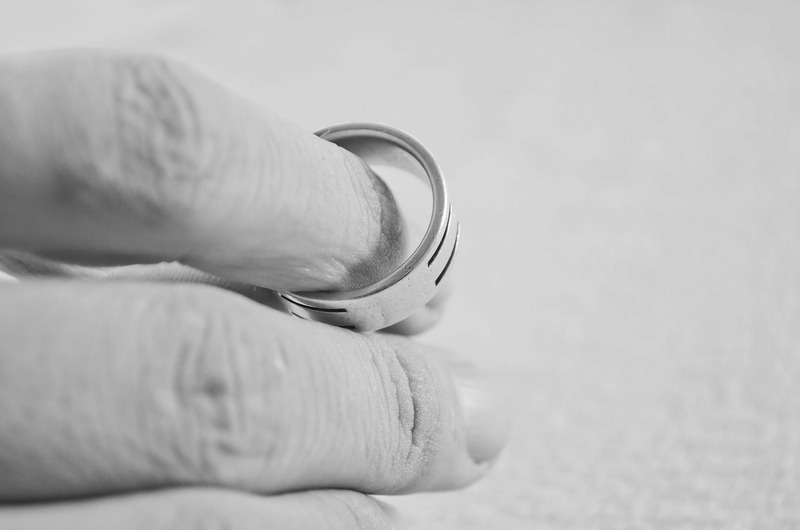 If you’re thinking about divorce, know that you’re not alone, but according to the latest Office for National Statistics data (ONS, 2016), once women are over 50, they are more likely to be divorced than do the divorcing. Whichever way round it is for you, the process is the same and there are many things that you can do to support yourself to feel as comfortable as possible and move forward with kindness and care. You see, whether divorce is your idea or not, it’s difficult. Letting go of often years of memories and emotions can play havoc on what is essentially a straightforward process. So what do you need to do first? If it’s you that’s doing the leaving, be clear about why you want to leave. It’s common for people to leave a relationship because they think the problem is the other person or the ‘relationship’ itself, only to find that they still have feelings of anger and sadness when they leave. You will take yourself with you when you go, so if the source of your unhappiness is actually within you, you’ll soon find it again elsewhere. It may sound counter-intuitive, but the worst thing you can do is go running to a lawyer when you are ill-prepared both emotionally and practically. Lawyers are there to help you with process. Process that you can’t or don’t want to do on your own (it is possible to apply for divorce without a lawyer – it’s the financial settlement where you really need legal support). Your lawyer isn’t there to help you decide whether you should divorce – nor are they qualified to support you emotionally. So wait. Wait until you are sure that divorce is the best option for you. If you need support working that out, a divorce coach can help you. A divorce coach helps you look at where you’re at now and where you want to be in future whilst supporting you with letting go of the relationship that is ending. Understanding yourself, your own values and where you’d like to be at the other side of the divorce process is your next job. What’s important to you? Where would you like to live and what kind of lifestyle do you want to maintain going forward? Of course, this needs to be realistic. In order to make realistic decision, you have to understand your financial situation and how a financial settlement might work for you in future. Being realistic is key to being reasonable and amicable. Remember – you can’t have a share of what isn’t there so before you start any negotiations, you must know your numbers! This means no bartering for items such as pensions or properties without understanding the whole financial picture, or without understanding the way in which the courts (in the absence of agreement), deal with financial orders. Communication when relationships are ending can be tricky. A good divorce requires both of you to be open and honest not just about the finances, but also about your hopes and fears. It requires you to think of the other person and understand that they too will have their own needs. Struggling to communicate isn’t unusual and this is where family mediation can really help you. I’ve been a family mediator for several years. I’ve seen first hand how mediation can help bring separating couples to a point of understanding, acceptance and compromised agreement about the best way forward. Remember, when your own children marry and have families of their own, both you and your former spouse will likely come into contact with one another. Focusing on your future relationship with that person can be helpful – very few people get to walk away without ever having to see the other again. Some marriages are a disaster from start to finish. Most marriages however, aren’t like this, and there is much sadness in letting go of what was once a great source of happiness and fulfilment for you. Where possible, reflect on the good times and the positive qualities of your soon-to-be-ex spouse. Doing this will help you deal with any sadness, anger and bitterness. The truth is, divorce is very straightforward. A few forms to fill in and your marriage is over. Negotiating a financial settlement is a separate matter and not part of the divorce itself. Many people don’t realise this. In reality, even resolving financial matters is straightforward for most people. What causes most issues in divorce, and the astronomical legal bills, is the inability of the people involved in the process to manage their emotions. Don’t let that be you. Getting a handle of your emotions will literally save you thousands in your divorce. Emma Heptonstall is a former lawyer. A practising family mediator and divorce coach specialising in women who leave their marriages, Emma believes that it is possible to have a good divorce. Emma is the author of the Amazon Bestseller How to be a Lady Who Leaves: The Ultimate Guide to Getting Divorce Ready, and offers 1:1 coaching and online programmes.